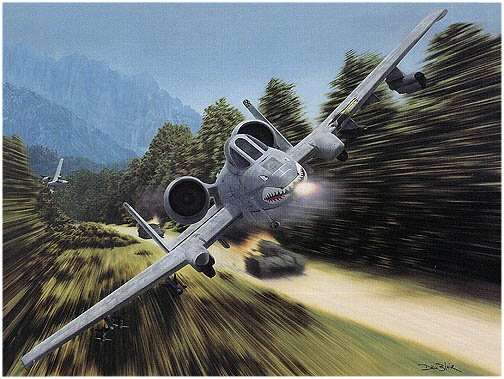 For pure power there isn't much that compares to the A-10. framed it with a Pilot's photos and patches. 24" x30" “Thunderstruck” is carefully reproduced on 100 lb. Archival Stock, each print is individually signed and inspected by the artist for color consistency and accuracy. An edition of 100 signed and numbered artist proofs are available for $165.